The significance of the first of these would have passed unrecognized by any of the Burroughs. 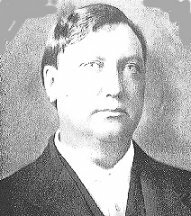 This was the election of Frank Steunenberg as the governor of Idaho in 1896. Steunenberg brought the Burroughs Boys into an association with his name when he appointed them representatives to a mining conference. The Boys were thus connected with the anti-Western Federation Of Miners forces. In 1899 in Coeur D' Alene up near the Canadian border a terrific showdown occurred between the mineowners and the WFM. This is an exciting story. 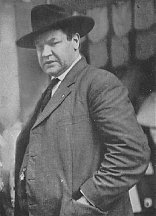 For details see the autobiography of Big Bill Haywood, 'Big Bill's Book', Clarence Darrow's autobiography, 'The Story Of My Life', and Charlie Siringo's autobiography, 'A Cowboy Detective'. Very rewarding, books, especially Siringo's. Steunenberg called in the Army to crush the union thereby incurring their hatred. On December 30, 1905 as he returned from office he opened his mailbox and disappeared into the air from the bomb blast. There is as yet no conclusive proof that the Burroughs Boys found it expedient to vacate Idaho for fear of the WFM but at any rate they chose to leave. ERB formed a distaste for the IWW which was headed by Big Bill which is evidenced in several of his novels. The character of the Sky Pilot in 'The Oakdale Affair' is undoubtedly based on Haywood. The second of these events was the really stupendous story of the discovery of gold in the Klondike in July 1897. By the beginning of 1898 a hundred thousand or so prospectors set off for the fabled Big Rock Candy Mountain in the Yukon. This last of the great gold rushes probably fired the imaginations of the Boys who were having a very difficult time of making their cattle ranch go. 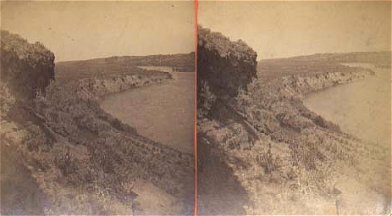 They would shortly abandon ranching, building a mammoth dredging raft to sift the bottom of the Snake River for any spare flakes and nuggets. 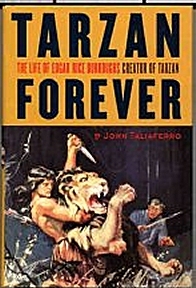 What effect this had on the mind of ERB is difficult to assess although the Tarzan novels are filled with episodes of found gold and diamonds. Most notably Tarzan uses the gold of Opar as his personal bank. He perhaps found his brothers' search for gold curious. He didn't seem to catch the fever at the time. 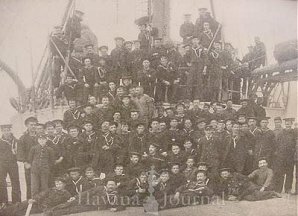 On top of these two items the Maine was sunk in Havana on February 15, 1898. The legendary newspaper publisher William Randolph Hearst had been beating the drums for war and now got it. 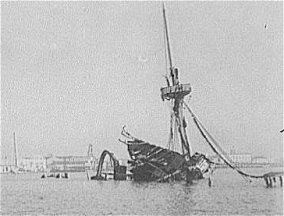 The sinking of the Maine may have been the spur that caused ERB to petition Capt. Smith for an appointment. The Spanish American war agitated his military ambitions as he tried to get that elusive officer's appointment. As he left home again in 1898 ERB was 22 soon to be 23. Time was passing. He was no longer a boy but having been coddled as a youngest son and kid brother he was having difficulty making the transition to a responsible young man. Not unusual, but true. He was in that difficult learning period of 21-25 when great demands are made on one's maturity. Somehow when one turns twenty-five one had better have learned enough to make it from there. How well I remember crossing that bar from youth to maturity. What a kick in the pants it was. Don't know how I made it. Unfortunately for ERB any maturity he was to experience was well in the future. Perhaps he never really made the transition. He had no money of his own. He would have had to have asked his dad for fare and traveling money. He was used to being supported, just asking for money he needed. We will now come on several examples. This was apparently a joyous reunion as the two got roaring drunk, hired a brass band then marching behind it paraded through the streets of Denver. Always seemingly conversant with the seamy side of town he and his friend blew whatever remaining money they had in a gambling dive. Now broke, he blithely wired the Boys in Idaho asking for more money to continue his journey. As he already had his ticket this money represented the equivalent of an easy five hundred today, perhaps a thousand. It was pocket money. What effect this stunt had on his family's evaluation of him is open to conjecture. ERB was no longer a kid; he ought to have been showing some sober responsibility. I'm sure that the story reached Chicago where possibly the Hulberts heard of it thanking their lucky stars the ne'er do well had checked out of their daughter's life leaving the way clear for Frank Martin. Wishful thinking. I don't think ERB gave it another thought, probably laughingly telling his brothers about it while I am sure they looked at him with puzzled astonishment. Events were now crowding fast on ERB. On April 19th 1898 Congress authorized the war on Spain. Burroughs once again appealed to Col. Rogers as his best bet to get him a commission. Rogers fobbed him off, nothing coming of his appeal. 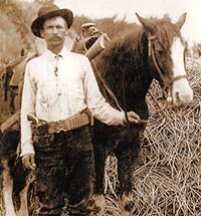 Hearing of Teddy Roosevelt's formation of the Rough Riders Burroughs sent an appeal to him which was once again a rejection. The military was and would remain a mirage. Had he been accepted either his father or his brothers would have had to provide transportation and incidental money. I'm sure one of them may have done it but there would have been no guarantee that ERB wouldn't gamble it away en route, cabling for more. The Boys were not flush, as Porges relates. They had borrowed a thousand dollars from their father, use your multiplier for today's equivalent, on which they were unable to make a principal payment, instead sending their dad the interest only which was a fairly steep 8%. Technically since they couldn't meet the obligation they were bankrupt. Nevertheless brother Harry, who seemed to be a much softer touch than brother George, bought ERB a stationary store in Pocatello. Porges doesn't give any financial details but perhaps it was at this point that ERB gave Harry his note for three hundred dollars. It is quite probable that this money also came from George T. who wished to remain anonymous. Harry may just have forwarded the note the Chicago. ERB was to keep the store for six months. Those six months were probably very important to him intellectually. 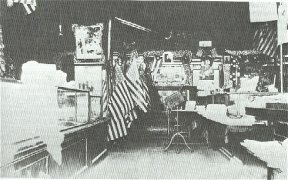 He later said he wasn't cut out to be a retailer but he did keep the store afloat for six months selling it back to the former owner at that time. If the owner bought it back for the three hundred then ERB kept the money never retiring his note. The evidence indicates that Burroughs gave the business his best shot. He seems to have advertised well while developing contacts to the point where he could offer to obtain any book or magazine from the US, Canada or England. Although he advertised statewide, how much demand there may have been for any magazine other than the most common ones is questionable. Once again, details of this period are tantalizingly lacking. Porges says that ERB made at least one trip to Salt Lake City in this period. One would like to know why. What need was there for him to incur the expense of such a trip. As impractical as he was he probably spent one or two hundred dollars which would better have gone to developing his business. One would like to know what he read at this time. It would be of interest to know how many different titles of magazines he actually stocked. What books other than Capt. King's he sold. He appears to have studied Darwin's Descent of Man at this time although the volume he used was twenty years old. It still may have been bought new for the store, I suppose. On the fly leaf he drew a picture of an ape labeled Grandpa which shows he was giving the subject some thought. Darwin was being much discussed as he obviously incorporated later thought into his drawing. One would like to know was the store making money? At any rate when the former owner returned to Pocatello at the beginning of 1899 ERB was only too happy to sell it back to him. What did he do with the money? I'm sure he could have found a poker game somewhere in Pocatello. When he returned the store to the former owner he became superfluous to his brothers who couldn't afford to pay him as a ranch hand. He now had no real place in Idaho. He began to think of returning to Chicago. Though he may have exasperated family and friends with his erratic behavior, behind his nonsense his mind was busily at work absorbing the tremendous range of influences occurring on a daily basis. Important among these was the West's relationship to the world. 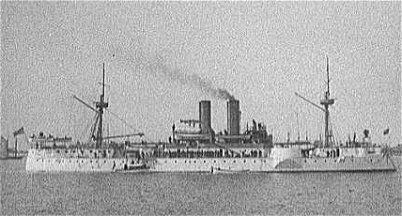 While the Spanish American war was intended to free Cuba, an unintended consequence was the acquisition of the Philippines as a colony or 'possession.' Other countries had colonies, the US had possessions. Rudyard Kipling who had toured the US in 1889 beginning in San Francisco moving East had formed some very definite impressions of the country and its inhabitants. In February of '99 in connection with the Philippines he published his very famous poem, 'The White Man's Burden.' The US had been traditionally anti-imperialist, condemning England most severely but now faced with Philippine intransigence the country was involved in a brutal war of suppression. Perhaps reacting to taunts of colonialism against the English Kipling wrote what can be viewed as a mocking poem. Anachronistic when published on the eve of the twentieth century, it was reflective perhaps of an earlier intellectual climate, Burroughs reaction was immediate reflecting a deep, if not long, he was only 23, reflection on the problem. The Pocatello paper printed his response shortly after the original appeared. This was apparently written in white hot heat. The New York Sun, February 5, 1899. The white God's favored sons. "To him who waits," remember;"
The white man's God, and rum. Will brand you "slave" the same. Burroughs response to Kipling may also explain why he refused to join a Pocatello volunteer regiment destined for the Philippines and the assumption of the White Man's burden. 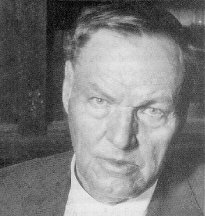 Burroughs is accused of an excess of pride in refusing to join the regiment because he would have to serve under a man he didn't like. That would have been a good enough reason for me. One doesn't know the details but possibly also his fellow volunteers refused to make him an officer. His local reputation may have been such that his fellows had no confidence in him. Also pertinent I believe is the fact that while the war in Cuba was to free the Cubans from Spanish tyranny, the war in the Philippines was to crush the freedom of the Filipinos. As Burroughs' answer to Kipling clearly demonstrates, he was opposed to the imposition of Western values on native peoples. While biographer Taliferro believes that Burroughs got no further in the Descent Of Man than drawing a picture on the title page the quatrain would indicate a much wider familiarity. 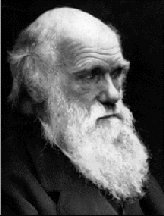 'A work of Darwin's', Darwin wrote several books, points to a wider reading of the evolutionary scientist than just the Descent. The advice to the subject races is peculiar while being ambiguous. On the one hand he advises them to take up Western learning, which as they haven't makes them unfit, while on the other hand he implies that they have not been exterminated because they are the fittest. The bright side of the Western subjugation of the peoples is clearly and accurately presented by Kipling who had much more experience in the wide world than Burroughs. On the other hand one tends to underestimate Burroughs whose brief experience in Apacheria is still analogous to Kipling's in India. On an evolutionary basis the West's conquest of the world represented a radical departure from the historical model. Prior to and outside the West the world's conquerors had been mere freebooters who plundered and destroyed while contributing nothing to their subject peoples who were most frequently intellectually superior to the invaders. As Kipling states, the West conferred solid benefits on the subject peoples. It imposed superior organization, scientific methods and standards although today, after several hundreds of years of resistance, through the superior scientific methods of the West certain areas are profiting. Not many though. In the terms most people relate to, famine has all but disappeared - this through no efforts of their own - through Western medicine billions lead more comfortable lives, certain diseases have disappeared while most others can be treated - through no efforts of their own, these benefits have been a gift, a boon from the West. The prevalence of fevers gave sub-Saharan Africa the name of the White Man's Grave but in fact no people could prosper in the African climate; Even the native Blacks, who one would assume, should have acclimated themselves over their hundred fifty thousand year existence seldom lived past forty. They were incapable of creating medicine before the White Man arrived and they are incapable of even manufacturing the White Man's medicine today. 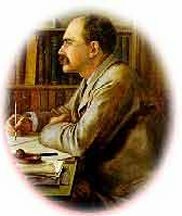 So that, while Kipling's poem is denigrated today as an example of 'racism' by the Red-Liberal ideology, apart from the insufferable condescension it is an accurate description of the altruistic role played by the West in civilizing the world. Reacting to the poem's insufferableness as much as anything Burroughs counters it by listing the negatives which are as real as the positives but with no material value. Once again the negatives are inconsequential compared to the brutality of the Mongol conquests in the West. One has only to glance over the wars of Tamerlane to arrive at some sort of balance, one hopes. In the Spring of '99 he can only put together this parody of another man's work where it touched his fixations most directly. For the present, after the roundup our wandering boy pulled up stakes yet again to return to Chicago. Who bore the expense isn't clear.